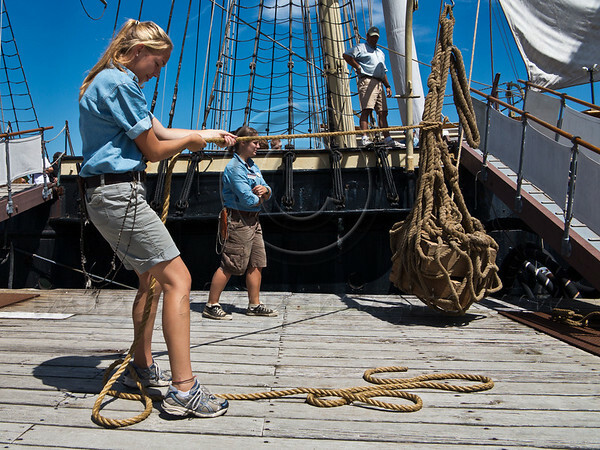 Museum employees demonstrate old-fashioned unloading of ships using ropes and winches. Mystic, Connecticut, USA. 21-July-2012.